Say Hello to stress. As the school season begins, many parents find themselves scrambling to get back to their fall routines. 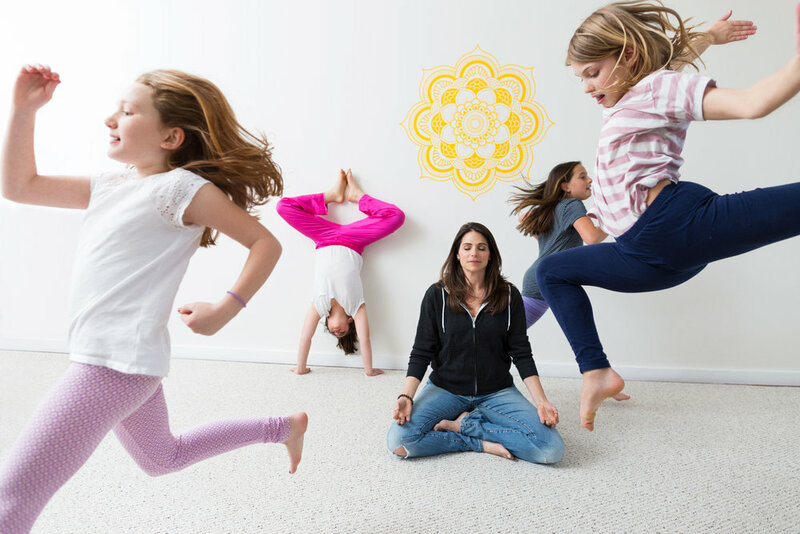 Cheryl Brause, a mindfulness and meditation instructor, mom of three and owner of 2bpresent in Larchmont, offers the following tips to ease into your September . Organize! Much of our stress comes from worrying about not being prepared; take those thoughts out of your mind by getting ready early. Get some Z's . Go to bed at the same time each night and take all electronics out of the bedroom. A regular routine that helps you unwind, relax your body and your mind is critical to your health and well-being, allowing you to get the rest you need. Unplug. Ever had a computer that's on the fritz? Thinking there's a major problem, you call a computer specialist and ask what to do. Rather than get a whole new computer, they tell you to unplug it and let it rest. Amazingly, this little reboot, resolves all your computer’s problems. Just like our computers, our brains need to rest and reboot. Enjoy simple pleasures like taking a walk, a bike ride or playing with a pet (without your phone in hand). Research shows that unplugging just a few minutes each day can help lower stress and increase you daily does of happiness. Stop negative thoughts. When you find yourself being self-critical, stop that negative thought train in its tracks by taking a nice deep breath. Repeat to yourself that you are good enough, you are perfect exactly as you are and you have the strength to conquer any challenges that lie ahead. Breathe. Nothing is healthier than learning to connect to your breath. When you're feeling stressed about the upcoming school year, take a slow, deep inhale, feel the air in your body and clear your mind of any stressful thoughts by focusing your attention on how it feels to simply breathe. Remind yourself that you are here and you are fine. Older PostOn We Go! Mindfulness at University of Pennsylvania School of Law, Lakeland School District, Rye Neck, Mamaroneck School District and more!